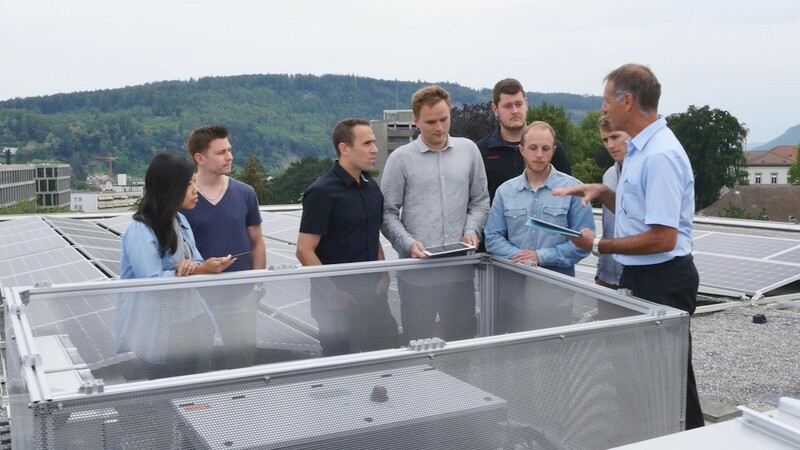 ABB is supporting the sustainability vision of Swiss students from the University of Applied Sciences and Arts by collaborating on the installation of a next generation roof-mounted PV installation. 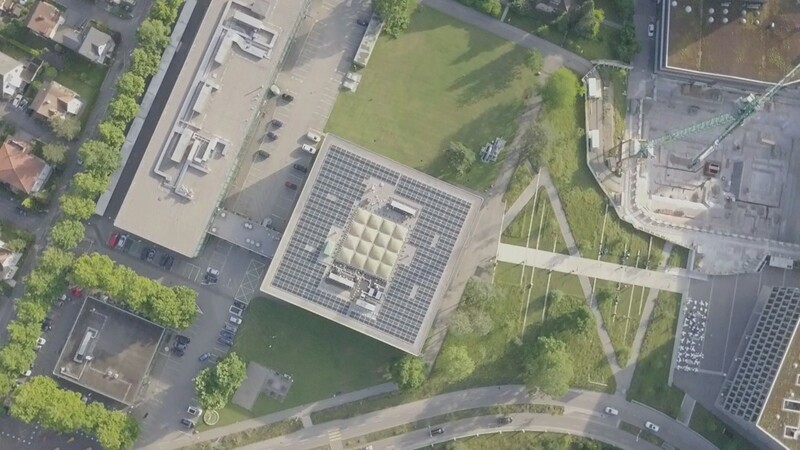 As part of their ongoing study program, students from the Energy and Environmental Engineering department have supported the installation incorporating digital capabilities on a campus building at the Brugg-Windisch site, half an hour’s drive north of Zurich. With over 900 employees and 2,700 students at the university, the aim of the project, developed by the students, was to help the University meet its sustainability targets and reduce its reliance on the grid. Several ABB solutions, including ABB Ability™ and PVS-100 solar inverters were used to help maximize the efficiency of the complex PV installation across the flat roof buildings and challenging structures. After undertaking a detailed feasibility study on how solar can support the campus’ electricity needs and reviewing the significant challenges presented by several roof top obstructions including heating, ventilation systems and chimneys, the students planned an installation of 756 solar modules on the site in an east-west set-up, each orientation connected to their own PVS-100 inverter. The PVS-100 is a three-phase string inverter solution for cost efficient decentralized photovoltaic systems. Its power range and the cloud connectivity provide the unique features to stand out in a highly competitive market. Launched earlier this year as part of the wider PVS inverter portfolio, the PVS-100 delivers a six-in-one, sun-to-socket solution, proven to deliver scalability, flexibility, proactive plant management and ease of installation through the ABB Ability™ Installer for solar inverters App. Full digitalization and proactive control and management was a pre-requisite of the PV technology for the University students, particularly as the principle aim was to improve self-consumption of the energy produced from renewables on campus. ABB Ability™ provides a unified digital platform connecting the students with devices, systems and products such as the PVS-100 inverter and enabling them to harness the power of the Internet of Things (IoT), delivering data insights for proactive plant maintenance and energy management. At the Brugg-Windisch site, ABB Ability™ provides the students with a real-time view of how much energy is being harvested at peak times and when they can use it for heating and cooling systems. It is predicted, that the PV installation of 230kWp will provide at least 1/30 of the 6 million kilowatt hours the campus requires on a yearly basis. Via sophisticated self-consumption optimization, 99 percent of the PV electricity can be used at the campus. Students at the University of Applied Sciences and Arts in Switzerland are confident that renewable energy from solar will create a powerful energy model for the next generation.